How to set letter above or below the symbol? Z Mario is a new contributor to this site. Take care in asking for clarification, commenting, and answering. Check out our Code of Conduct. 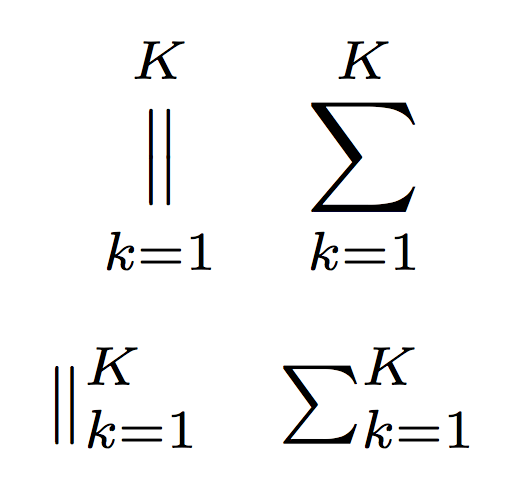 Currently, the width of the widest compnent (k=1) determines the width of the stack. If it is needed so that the width of K or the vertical bars determines the width of the stack, please let me know. 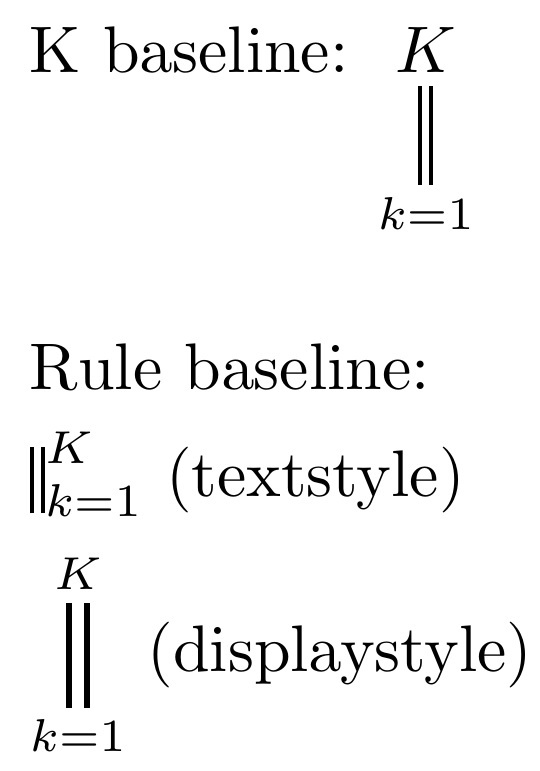 In the latter case (\vbars math operator), if one wishes the rule thickness and gap to remain the same in both text and display styles, then, in the definition of \vbars, merely change \scalerel to \stretchrel. Z Mario is a new contributor. Be nice, and check out our Code of Conduct. Not the answer you're looking for? Browse other questions tagged stacking-symbols or ask your own question. How can I make an overset symbol at the same size and height as \bar except with a different symbol?